Another tribute to the Hong Kong vampire movies of the 80s, this version is more like ‘Ghostbusters’ in which a team of street cleaners goes against not only a young female vampire, but also a very powerful elderly one. A young orphan student Tim Cheung gets recruited into Hong Kong’s special brunch of the cleaning department in which the cleaners don’t clean the streets but go after vampires instead. As it turns out, Tim’s parents used to work in the same department as vampire hunters. Tim’s mother was bitten by a vampire and consequently resulted in Tim being immune to vampire infection. One night, under a new blood moon, two vampires were resurrected, one in the form of a young female and the other, her more powerful landlord. Tim is supposed to kill her, but falls in love with her instead, names her Summer, keeps her in his tiny apartment and a relationship begins to develop. Summer was buried as a funerary object with her landlord when he died. 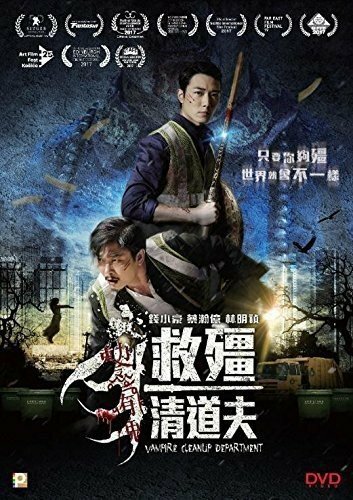 In fact, the Chinese title of this movie translates as ‘street cleaner saves a vampire’, actually deals with the romance between Tim and his vampire lover. Because of Tim’s mistake, this unusual team of street cleaners now has to face the most fearsome creature they’ve ever encountered. 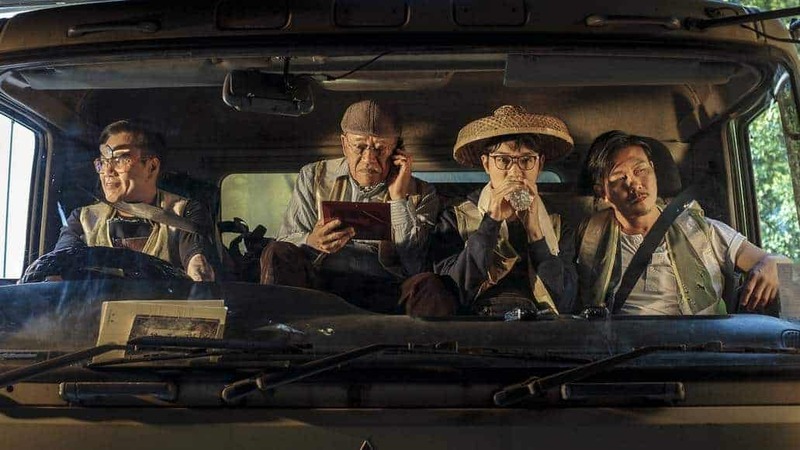 What makes VCD so watchable and fun is the clever inclusion of a few Hong Kong cinema veterans. For a start, we have Lo Mang, who plays Tai Gau-keoi, VCD’s weapon specialist. Anyone who watches Shaw Brothers movies will recognize Lo Mang for his role in “The Five Deadly Venoms”, and “Kid with the Golden Arm”. While it’s a pleasure to see him on the big screen again, it’s a pity that he is not given a chance to show his kung fu skill here. Next up, we have Chin Siu-ho, from the original 80s vampire movies series and he shines as VCD’s main fighter Chau, who teaches Tim the ways to fight vampires. Chung, the director of VCD is played by Richard Ng, another veteran of the “Lucky Stars” comedy series. Yuen Cheung-yan, Yuen Woo-ping’s brother, plays a Taoist priest, Master Old Ginger. For Hong Honk cinema fans, this opportunity of seeing all these actors sharing the screen together is sure to put a smile on their faces. The VCD intern, Tim Cheung is played by Baby John Choi, a name I still have to get used to. The young female vampire Summer, is played by Malaysian singer, Lin Min-chen. These two young actors are adequate as human and vampire lovers and they provide most of the movie’s funny moments. Interestingly, Lin has no spoken lines as the female hopping vampire so she just expresses herself through gestures and body language. However, the romance bits do go on a bit too long; luckily both these young actors are quite charismatic to watch. VCD retains most of the trademark of the old vampire movies, the hopping vampire, or ‘gong si’ in his traditional outfit, Taoist priest, mythology, supernatural elements and a young hero who saves the day. The main difference is in the much improved CGI, animation and makeup effects which actually help to make the movie more dynamic and exciting. There is even a training sequence where Chau teaches Tim using the sweeping floor technique present in many martial arts movies. After all VCD is a homage to the 80s Hong Kong cinema. To sum up, VCD is a good combination of old and contemporary Hong Kong horror comedy with better special effects and lovable characters. It doesn’t hit the right notes all the time, especially in the romance between Tim and Summer and some of the jokes do fall flat. However, despite its shortcomings, it’s entertaining and a fun little ride.